Take Pride. Your in good company and on the right track! 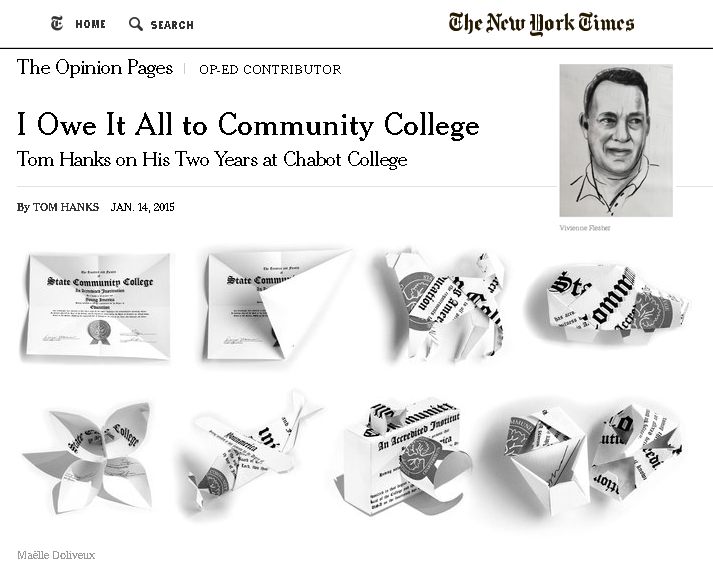 Check out this inspiring New York Times article by Tom Hanks, I Owe It All to My Community College. Hanks credits Chebot Community College with shaping his future and explains the importance of community colleges for students across the country.